The front doors were locked. Confused, I walked around to the other set of doors and one was propped open. I opened the door slowly and peered inside. I’d never seen Cactus Jacks in the harsh light of day before, so I looked around apprehensively. I walked right inside – I was, after all, supposed to be there. I had an interview scheduled with Rob Medves and Mikael Finley. I scanned the bar, and never having met Rob before, didn’t even know who I was looking for. Suddenly an enormous man appeared to my right. I spun on my heel and was shocked. I stand at five foot nine, so tall men usually don’t surprise me like that. But he was literally a giant man. In an instant my shock and surprise melted away when he flashed his wide grin, warmly reached out to shake my hand and introduced himself. In the short amount of time that I’ve been covering shows at Cactus Jacks and working with Rob, he was never anything but kind, generous and genuine. He always treated me like a professional, when in reality, I was just a student stepping into this editor position, desperately hoping that no one would discover how little I knew about what I was doing. On Sunday, Jan. 4, days after celebrating his 46th birthday, Rob passed away. He leaves behind a legacy of hard work, motivation and genuine kindness to his expansive, far-reaching bar family. In trying to make sense of this loss, those who knew him or worked alongside him are echoing the same sentiments. “He was the best boss I’ve ever had. He was very approachable. At first you didn’t know how to approach him because of his size. 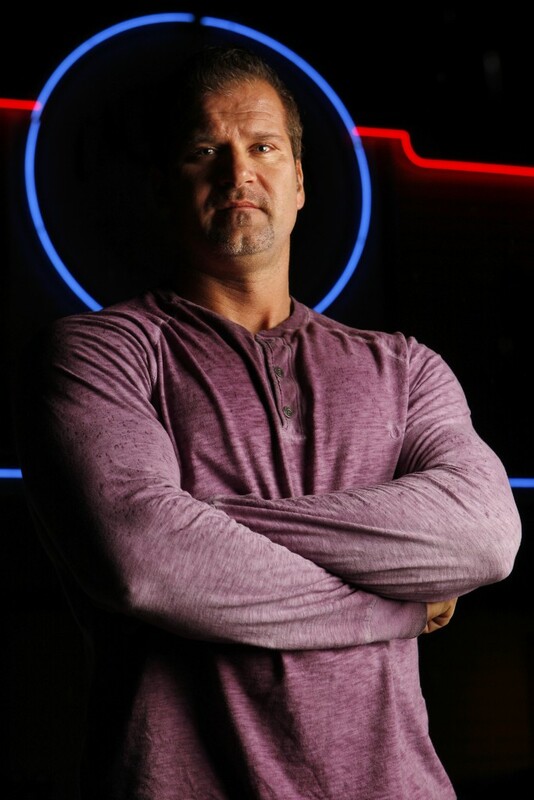 Once you got to know him, he was really easy to talk to,” said longtime friend, co-worker and doorman at Cactus Jacks, Adam Lupasko. Since he passed, there has been an astounding outpouring of grief and sharing of memories via social media. Many of the stories are based on the fact that Rob really was larger than life. “We were sitting around at work making jokes. I was joking that he was so strong, but that he couldn’t lift me. He literally did a wrestling move, flipped me over, grabbed my crotch and lifted me over his head. He could’ve thrown me like 10 feet if he wanted to. It was just amazing, the raw power he had,” said longtime friend, former coworker and Commodore co-owner Dino Bernardo. Despite his size, he was known to diffuse situations with his words, not with force. “He never led with his fists, he always led with his head. It was never his first inclination to be rough. He would give his heart and soul to anyone, in order to help them,” Bernardo said. Rob never failed to take care of his staff, his family and patrons. He was a steady and constant presence at Cactus Jacks, who will be missed intensely. “He took the time to get to know everyone and talk to them. He was so accommodating, so nice. Always had an ear for you. He’d always take time out of his day and life for you,” said friend, coworker and Cactus Jacks doorman, David Harris. “His presence. He was such a nice guy. He spoke and people listened. But if he needed to yell, he’d put the fear of God into you,” Harris said. He was passionate about his work, and always put the success of the club first, but he consistently managed to have fun on the job. “It was the end of the night. This one kid wanted to come back into the bar after 2 a.m. He’s looking at me, I look away for a second and he bolts for the door. So I stuck my arm out and his legs kept moving but his head stopped. I helped him up, made sure he was OK and he left peacefully. At the end of the night Rob called me up to his office. I thought he was going to let me have it. But, he had the video up and he played it and we both just started laughing,” Harris said. The nightlife, and club industry, affectionately known simply as “the industry” among those a part of it, is, in one word, unique. Industry workers experience a vastly different reality when it comes to their professional and social lives. Compared to a typical 9-5 job, industry work is the polar opposite. You are working while everyone else is off, awake when everyone else is sleeping, stone sober while everyone around you is scrambling desperately to the bar for last call. For this very reason, not everyone is cut out for the job and many cannot survive in the sometimes cutthroat industry. The tough hours, the problem patrons and the physical and mental strain isn’t for everyone. But those who are able to get past those very real barriers can thrive. “To work in a nightclub you have to be a certain kind of person. You have to be outgoing, sociable and carefree, but not careless. You have to be industrious. You have to have a strong work ethic,” Lupasko said. When a group of people, who all possess that unnamed personality trait, that “x-factor,” get together as a team, the relationships formed and memories made can be life changing. “It’s like a family reunion every night. It’s the same core people, but there are new faces all the time. You never know what’s going to happen. If something does happen that’s a big deal, you’re there for one another. Whether you’re a doorman helping a bartender or vice versa, you are there,” Harris said. For the patrons, a nightclub can be a pulsing oasis, a place to ditch inhibitions and make friendships. But in an instant, that paradise can shift to a life-threatening situation. It is this reason precisely why industry staff become so close, so quickly. “The bar is the reason why I am the person I am today, [because of] the people that I work with and the situations that I get in. I am helping patrons, but you also have to stop situations before people get hurt. You are constantly relying on that guy next to you,” Harris said. The intense friendships, the “bar family” that is forged during the weekends when the clubs are at capacity and the drinks are flowing are long lasting and in most cases, permanent. “No matter what you’re doing in life, or where you are, you always have that industry history in common. I took four years off, then came back but it was like I never left. It was like riding a bike,” Lupasko said. 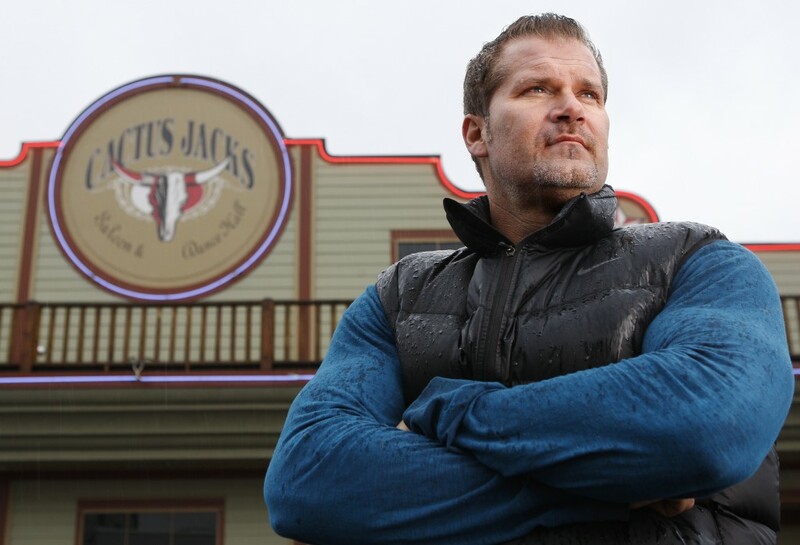 The Cactus Jacks staff have a tough road ahead, having lost such a great leader, but strong families support one another and bar families are no exception. “They’ll try and move on, but those are big shoes to fill. He was such a great man. A lot of that staff will be lost for a long time. But they have each other, and people like us to help them get through it,” Bernardo said. They will undoubtedly look to each other for support in the coming months to grieve this loss of the big man who left behind an even bigger legacy. Rob may have moved on, but the bar family that he built at Cactus Jacks will remain intact and bonded forever. Editor’s note: A previous version of this article misstated the job title for Dino Bernardo. This was updated on Jan. 20, 2015.